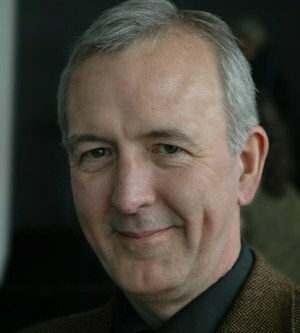 He was formerly at Birkbeck College London (1979-1989) and the University of Birmingham (1989-2011). His research covers a broad range of topics in visual cognition, including aspects of social cognition, and it uses converging evidence from behavioural studies, neuropsychology, brain imaging, brian stimulation and computational modelling. He has been awarded the Spearman Medal, the President’s Award, and the Cognitive Psychology Prize from the British Neuropsychological Society, the Freda Newcombe Award from the British Neuropsychology Society and the Donald Broadbent Award from the European Society for Cognitive Psychology. He is a former President of the Experimental Psychology Society and the British Neuropsychology Society and he was Chair of the Research Excellence Framework for Psychology, Neuroscience and Psychiatry in 2011-2014. He is a member of the Academy of Society Sciences, a fellow of the Association of Psychological Science and a fellow of the British Academy. Some of the most interesting findings have stemmed from the observation of neuropsychological cases whose impairments provide important insights into the nature of the mind and brain – examples here would be patients who ‘neglect’ either the left or the right side of space depending upon the nature of the spatial information being representation (body space vs. space within objects), and patients who are blocked in making actions to visually presented objects but who can act without difficulty when stimuli appear in other modalities (‘visual apraxia’). By studying such deficits we gain a novel window into how space is represented in the brain (not as a single entity) and how modality-specific connectivity can directly modulate action. (b) What do you think are important issues in Cognition and related areas? I think a major issue now is how we go beyond ‘box and blob-ology’ in cognitive neuroscience, where the focus has been on how individual modules work, to understanding how networks work. For example how do different neural regions interact to ‘bind’ visual information? In addition, I think it is increasingly important to try and integrate information across different levels of investigation (single neurons, the operation of neural sub-systems, the operation of whole-system behaviour). (c) What would be your message to invite the younger minds ? Psychology is a young discipline with so many fascinating questions we have yet to answer about how the mind and brain operate – it is really an exciting frontier for young researchers interested in basic questions about what makes us human. (d) How did you get interested in the research that you love doing? First, I was lucky enough to be inspired to think that cognitive psychology was interesting from lectures by David Routh when I was an undergraduate at Bristol University – we should never under-estimate the influence of a good teacher. Second I was lucky enough to secure a post at Birkbeck College in the early 1980s, when it was a hotbed of research into cognitive neuropsychology – the excitement of that field at that time meant that you could not ignore neuropsychological studies. Third, I was fortunate to gain hands-on experience in neuropsychology through Jane Riddoch, and lucky enough to have enjoyed long-term collaboration with her. Prof. Glyn Humphreys has passed away in 2016.